Shipping worldwide from our US warehouse. SOLD OUT in our EU & NZ warehouses. Undertaking to return to Erebor, the lost kingdom of the Dwarves, wherein a Dragon lay waiting, Thorin Oakenshield seeks to gather a Company of able souls of diverse skills and unshakeable conviction. As the heir to the stolen throne and upon whose shoulders the future of the line of Durin depends, Thorin Oakenshield feels keenly the threat of failure and what it will bring: a fiery death for himself and the loss of his people's hope. To that end, Thorin Oakenshield calls upon those whom he can trust above all others, and in none could his faith be more certain than Dwalin the Dwarf, his cousin and friend. 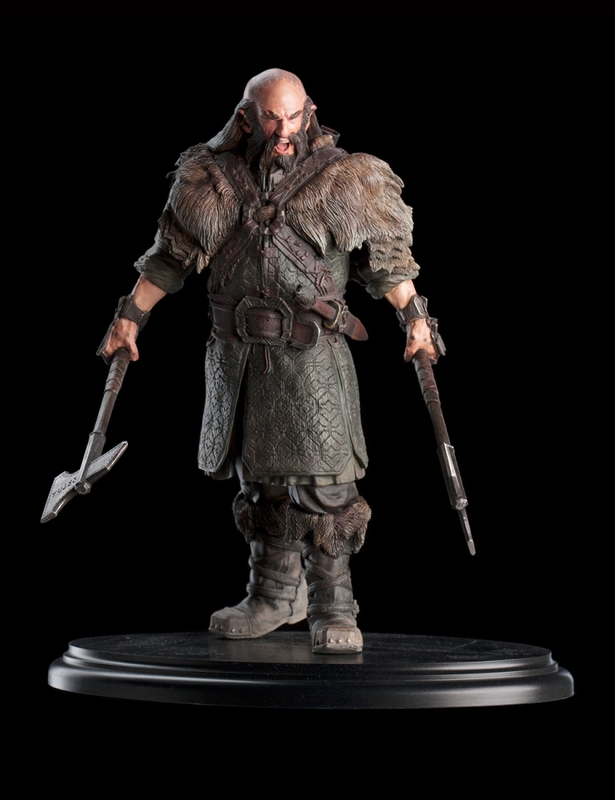 Tall for a Dwarf and a warrior of renown among his kind, Dwalin the Dwarf has fought at Thorin Oakenshield's side many times and the two spar regularly to hone each others skills. 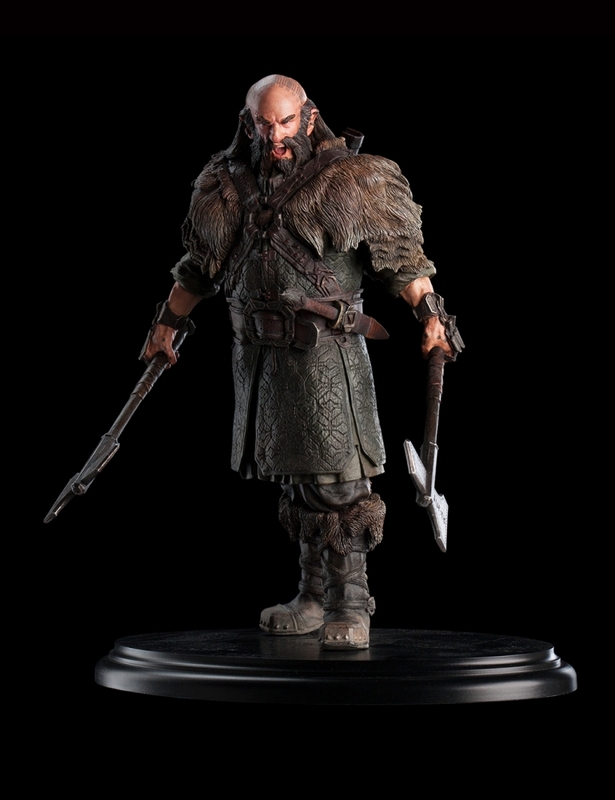 More like a brother than distant kin, Dwalin the Dwarf is loyal to the last hair in his beard and would willingly lay down his own life if it would save Thorin Oakenshield's. In battle, the scarred old warrior wields the mighty axes Ukhlat and Umraz, and a great hammer near as tall as he stands. Upon his arms and scalp are tattoos as angular and hard-edged in design as the Dwarf himself, and upon his brow is knitted a frown etched by years of hardship. Yet Dwalin the Dwarf is not cheerless, for Dwarves feel all things deeply. 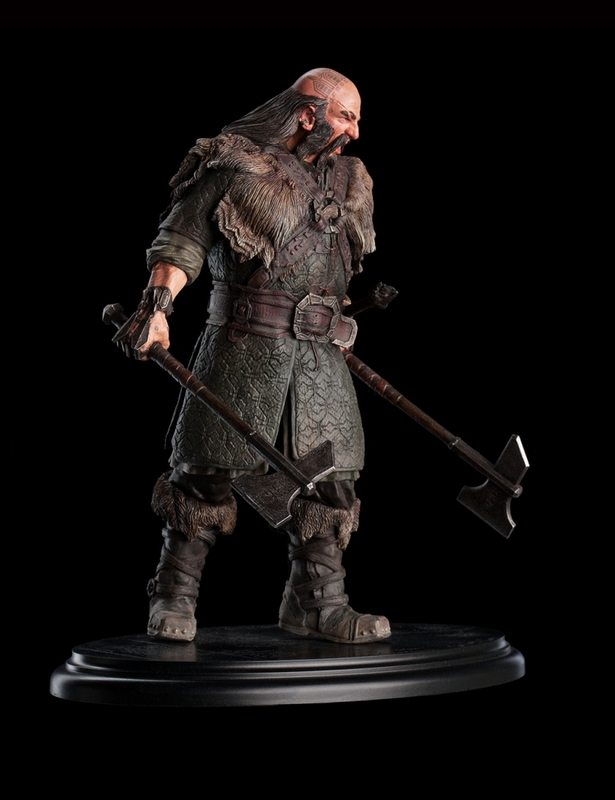 Grudges he bears, but Dwalin the Dwarf also laughs loudest and with all his heart in times of mirth and celebration. No stronger second could Thorin Oakenshield have hoped for in his quest. 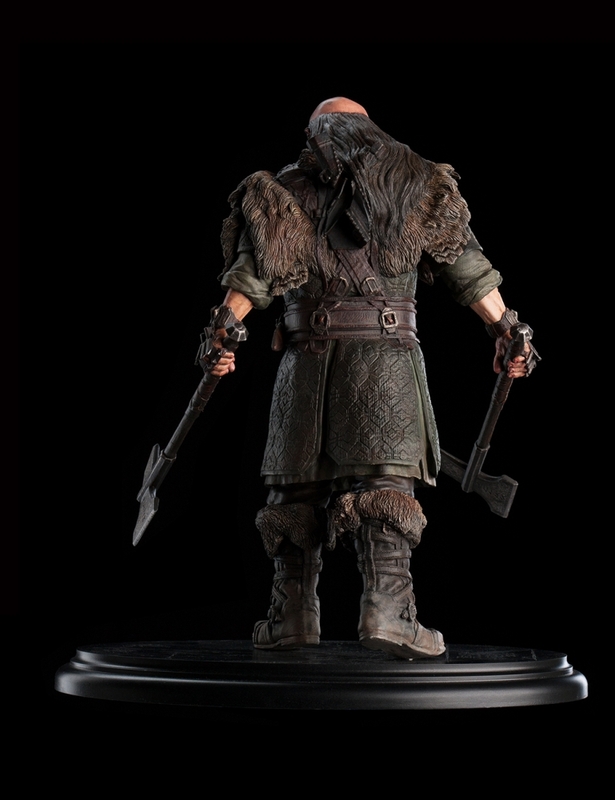 Dwalin the Dwarf is an Open Edition piece. Please note: images are of a pre-production prototype. Each sculpture is hand painted and minor variations will occur. 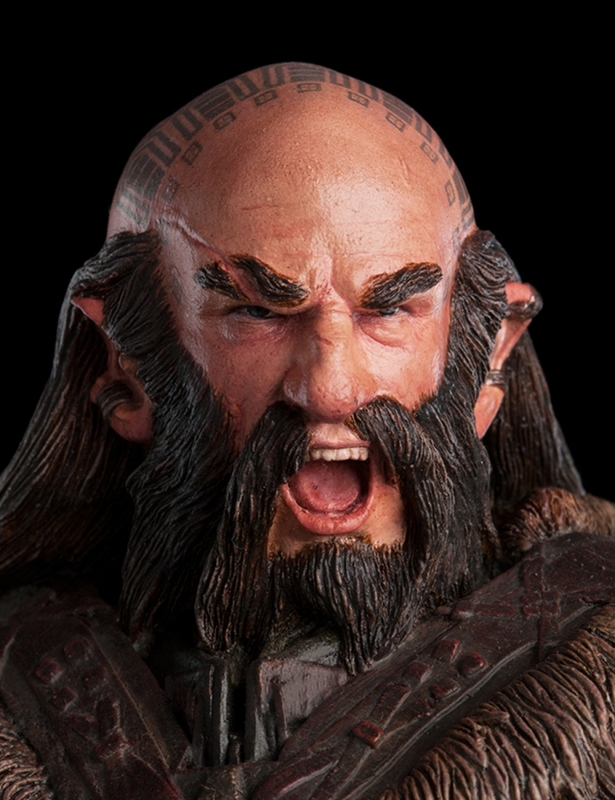 The tattoos on Dwalin's head are decals.